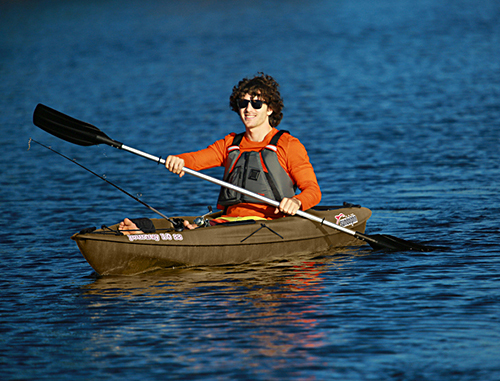 The Sun Dolphin Journey 10 SS is a 10 foot sit on top fishing kayak designed for the fisherman seeking an excellent fishing experience on lakes, rivers, and the ocean. The Journey 10 SS features a two flush mount rod holders, one swivel rod holder, self-bailing design, easy entry cockpit, large stern storage platform with shock cords, and adjustable foot braces. Get out and catch the big one in the Journey 10 SS. This item normally leaves the warehouse in 7 to 10 business days.